I have been meaning to post this image for awhile now. Regular readers of the BAT-BLOG probably know that I recently took a break for a little while because I needed a mental rest, ha! 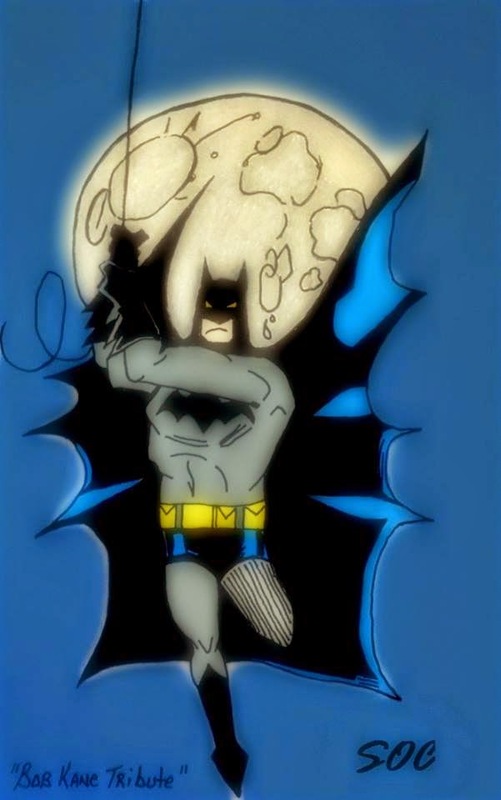 But check this out, here's some fun BATMAN artwork from a friend named Scott Cosby. He lives here where I live, Oklahoma City, and his art is pretty damn good. My only problem with him is that he is more of an Aquaman Fan than a Batman Fan... Traitor! But, we can't all be perfect (just kidding Scott). To check out more of his comic book work please be sure to check out his FACEBOOK page, just CLICK HERE!